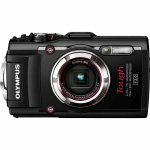 Shopping for a point and shoot digital camera can be confusing. More, smaller, and better capable cameras are being released all the time. Some of the different categories of digital cameras include compact or subcompact, superzoom, rugged/waterproof, and DSLRs – many models could fall into several of these categories. The first thing you should consider when you are making a purchase is what do you plan on using your camera for? Do you need a compact, lightweight model primarily for taking family photos or one with a large zoom for taking images from far away? Perhaps you need one with more megapixels because you plan on enlarging and displaying your pictures or a waterproof version since you plan to use it in or around water. Maybe you are on a tight budget and want the cheapest available or are a professional who is willing to spend thousands to get a high quality DSLR. The good news is that there is a choice for whatever you require. Some factors to consider when deciding on your purchase include: weight and size, zoom, megapixels and image quality, flash quality, video capabilities, ease of use, wide angle lenses, and battery life. For the more professional photographers you will want to investigate the entire lens system including aperture and focal length, optical sensor type, image stabilizer, file formats, and manual controls over ISO and shutter-speed.